For someone who was educated at Eton and Oxford, it seems strange that David Cameron never learns his lesson. Today in Prime Minister’s Questions he got on the wrong side of an argument on the Coalition government’s botched sale of the Royal Mail and committed every MP’s cardinal offence: He knowingly lied to Parliament. Ed Miliband had caught him out with a question about share prices, pointing out that Royal Mail shares had been sold far too cheaply. Referring to Cameron, he described the Prime Minister as “not so much the ‘Wolf of Wall Street’, more the ‘Dunce of Downing Street’. Cameron hotly denied that his government had bungled the sale, and in response to Miliband’s claim that nobody had wanted it, he told Parliament that Labour had planned to do the same. “It’s in their manifesto!” he ejaculated. I have a copy of Labour’s 2010 manifesto on my computer, so I was able to check it immediately and found no mention of any such sell-off. Cameron was inaccurate. Not only that, but unless the memory cheats, this is not the first time Cameron has made such a claim. His advisors would certainly have informed him of any inaccuracies, so any repetition is a conscious decision. Cameron was lying. This blog has covered the offence known as Contempt of Parliament in considerable detail before (mostly in relation to serial offender Iain Duncan Smith). By rights, anybody misleading Parliament who does not apologise and put the record straight should be expelled from the House. The current government seems to be ignoring this (for obvious reasons). Labour’s Jon Ashworth raised a point of order after PMQs, demanding that Cameron return to the Commons to correct himself. Fat chance. A spokesperson insisted that the language in the Labour manifesto was “similar” to a 2009 plan by Lord Mandelson to sell off 30 per cent of the Royal Mail and prepare the remainder for modernisation. This means nothing. If it isn’t in the manifesto, Cameron can’t claim that it is. But then, Cameron seems very confused about manifesto pledges. He once claimed that Andrew Lansley’s reorganisation of the NHS in England had been a part of the Conservative Party’s 2010 manifesto, for example – despite having himself ordered that nobody should mention it in the run-up to that year’s election, in case it put voters off supporting the Tories. 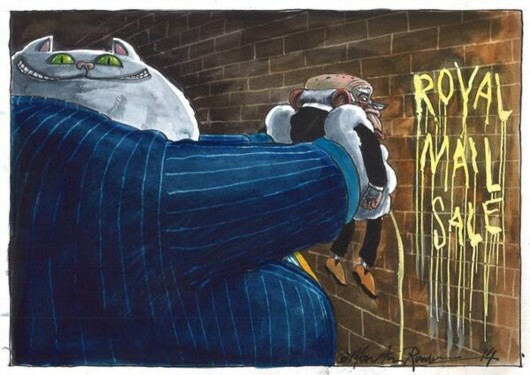 I leave you with Martin Rowson’s cartoon on the Royal Mail sale, for Tribune magazine. … but we cannot do so without YOUR help. 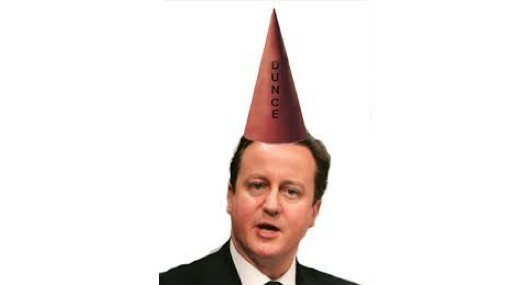 The not-so-great dictator: It seems David Cameron’s government is now ignoring all attempts to hold it to account. Ladies and gentlemen of the United Kingdom, your plight is worsening: The government now no longer pays any attention to the decisions of your Parliamentarians. You’ll remember that a debate was held on Monday, in which MPs called for an inquiry into the effect of changes to the benefit system – introduced by the Conservative-led Coalition government – on the incidence of poverty in this country; the question was whether poverty was increasing as a result of the so-called reforms. Parliament voted massively in favour of the inquiry (125 votes for; two against), as reported here. We considered it a great victory at the time, and looked forward to the commissioning of the inquiry and its eventual report. Now that dream is in tatters as Michael Meacher, the MP who brought the motion to Parliament, has reported that nothing is to happen and the government is ignoring the vote. It seems he is blaming this partly on the media because “it wasn’t reported” – and he has a point; only 2,500 people have so far read the article on Vox Political, and that’s not nearly enough interest to worry David Cameron and his unelected cadre. This turn of events raises serious questions about the role of Parliament in holding the government of the day to account, influencing legislation and taking effective initiative of its own. Perhaps we should be glad that this has happened, because the illusion that we have any kind of democracy at all has been, finally, stripped away. Here are the facts, according to Mr Meacher – and they make bitter reading: “The chances of influencing … legislation are negligible because the government commands a whipped majority at every stage of a bill’s passage through the commons. “Parliament can make its voice heard, but it can hardly change anything that the government has decided to do. “The only rare exception is when there is a revolt on the government benches which is backed by the opposition, and even then when the government lost a vote on that basis last year on the EU budget, it still ostentatiously dismissed the vote as merely ‘advisory’. “The backbench business committee, which for the first time gives parliamentarians some control over what is debated in the house, is being sidelined and decisions on its motions ignored. “The promised house business committee, which would share negotiations between government and parliament over the passage of all business put before the house, has been quietly dropped. This is, as Mr Meacher states, a major constitutional issue – especially as our current government was not elected by the people but created in a dirty backroom deal, and its actions have no democratic mandate at all; nobody voted for the programme of legislation that we have had forced – forced – upon us. Did you vote for the privatisation of the National Health Service? I didn’t. Did you vote for the privatisation of the Royal Mail? I didn’t. Did you vote for the increase in student fees? I didn’t. Did you vote for the Bedroom Tax? I didn’t. 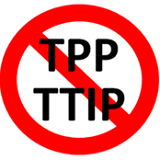 Did you vote for the Transatlantic Trade and Investment Partnership deal? I didn’t. Did you vote for the Gagging law? I didn’t. Did you vote to protect the bankers who caused the financial crisis from having to deliver compensation to us? I didn’t. Did you vote to protect tax avoidance schemes? I didn’t. There are many more examples I could list. Mr Meacher suggests possible ways to reassert the authority of Parliament, but none of them will have any immediate effect – or possibly any effect at all. Considering Cameron’s attitude to the will of the people so far, this seems unlikely. That’s frustration for the Coalition government, not the public (for a change). If you’ve ever had to telephone a government department, you probably know that it is about as hard as the private company operating the service can make it. This is to enable that company to screw as much money as possible out of you before you have said a single word to a government employee. The system is set so that there is only a small number of rings before a machine picks up – this is when they start charging you – and a recorded voice lists a series of options, from which you may choose. Then you wait. They provide music for you to… enjoy, but this is interrupted at 20- or 30-second intervals by another recorded voice telling you that all operators are busy but your call is important. After a non-specific length of time, a human being comes on the line and tells you that they can’t deal with your problem but will put you through to someone who can. Then its back to the music, interrupted by the recorded voice. I have no idea what happens after that. I do not have the disposable cash to pay through the nose for the privilege of listening to ‘The Four Seasons’ being ruined. If I want to hear classical music, I’ll get Spotify or – Luddite that I am – spin a CD. Currently, whenever I receive correspondence saying I should telephone a government department, I respond with a letter. Now that Royal Mail is privatised, I suppose I shall have to find another alternative when prices start to rocket. Fortunately, it seems Margaret Hodge and the Commons Public Accounts Committee have taken note of the problem and action is being proposed, after it was revealed that people have been paying around £56 million to speak to government departments on premium rate phone lines. How did they find out? 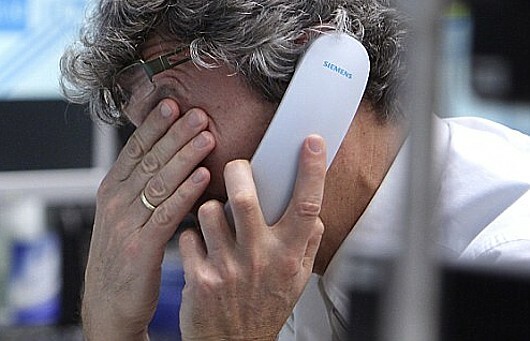 Was it brought to their attention because of the high volume of ‘abusive’ messages from clients who had been told their calls were being recorded, but who still ended up screaming that they had been waiting forever, the call had already cost them the national debt of a small developing country and their spouse and family had given up and left them – most probably for a telephone company executive? Sadly, this isn’t even news. It was reported in December 2012 that calls to HM Revenue and Customs had left customers paying £33 million a year. Somebody calling from a mobile would have spend £1.92 if they waited the average length of time on hold – and that is before anyone dealt with their query. According to the BBC, the committee found that one-third of Whitehall numbers used by the public were higher-rate – including those for benefit, victim support and tax inquiries. This higher rate means calls can cost 10.5p per minute. With the average call costing 56p, this means calls from landlines can last around five minutes and 20 seconds and we can deduce from our own experiences that most people are unlikely to have actually spoken to anybody human at all. It seems possible, therefore, that the government telephone system – certainly that used by the DWP – is designed, not as a service to “customers” (their word), but as a means of keeping them away. Not only that, but it also seems designed to fleece them of as much money as possible while doing so. There was also criticism that calls took too long to answer. In response, the Department for Work and Pensions has said it will offer a choice between 0845 and 0345 numbers, allowing callers to choose the cheapest line. I’m willing to bet it won’t tell callers which line that is. Also, it will be massively over-used, leading to longer queues, so people will end up paying just as much. You’ll have noted that nothing was said about cutting down waiting times. Consumer group Which? wants public bodies and companies to provide either freephone or local rate numbers for customer service and complaints lines, saying it is “ridiculous” to force a huge bill on people, especially when they have to wait on hold. It isn’t ridiculous if the phone service has been contracted out to a private company, though – as seems to be the case with the DWP, at the very least. In that circumstance, it’s a money-spinner – one that is about to peter out, if Mrs Hodge gets her way. That’s why this is frustrating for the government. How many Conservative MPs have financial interests in the Telecoms industry? Who’s ashamed of the big bad ‘B’ word? Who should be more ashamed that Peter Lumb (left) has been summonsed because he is unemployed and does not have the cash to pay his council tax bill? Mr Lumb himself? 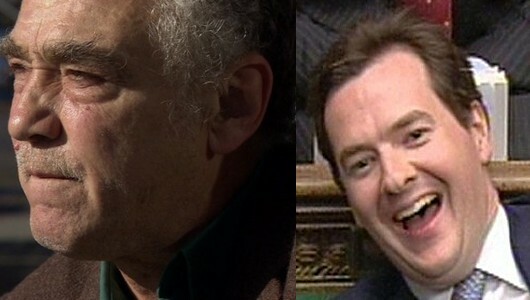 Or George Osborne (right) for creating a system in which people like Mr Lumb are thrown away by indifferent employers? One of our commenters asked this of another after they admitted that being on benefits made them feel ashamed. It took me completely by surprise as at first I thought it was aimed at me. Then it occurred that it might have been a general question aimed at anybody on benefits. Only then did I see that it was a response to someone else who had said as much. I quit my last (full-time) news reporting job in mid-2007 to become a full-time carer for Mrs Mike. As everyone reading this probably knows by now, Mrs M has been in a great deal of pain for a great deal of time, and her condition has been worsening. In 2007 the government of the day acknowledged this by putting her on Disability Living Allowance (she was already on Incapacity Benefit), and this meant that I could get the allowance if I was looking after her for more than 35 hours a week. I jumped at the opportunity. Yes – it was an opportunity. You see, conditions at work had been worsening of late. For the hours I was being asked to work, my pay packet had been decreasing, in real terms, year-on-year. Recently the company had decided to move the office where I worked to the far edge of the patch I covered, forcing me to drive 82 miles there and back, every day. I was tired, I felt misused, and I was starting to go into debt. Swap this for benefits? For me, it wasn’t a decision at all. Note carefully: My decision to go on benefits made me better-off (I’m not in debt any more) – not because benefits habitually pay more than wages, but because my (former) bosses had been pushing my wages down, in real terms, beyond the point at which I could make ends meet. It was their decision to do so that meant I could not balance my books; it was their decision to move the office that meant I was spending hours every day in transit when I could have been doing something else; it was the same decision that meant I knew I would not be able to cover the patch as well as I wanted to. I could have made a case for constructive dismissal. This seemed a much more amicable way out. I don’t think my situation is unusual. Across the UK, millions of employees are probably in the same situation now – or one that is worse. The problem does not lie with them but with their bosses. If any of them had to give up their job for similar reasons, there would be no cause for shame (in my opinion). The other reason I don’t feel any shame about being on benefits is that I haven’t made that the sum total of my life. I carry out my caring duties diligently – and have gone head-to-head against the Department for Work and Pensions in the course of those duties, as has been reported here many times. But I am allowed to do other things as well, provided that my earnings do not exceed a certain amount per week. That’s why I was able to work for an internet news service earlier this year (until their funding for me ran out). That’s why I’ve published one Vox Political book already*, with two more on the way. These are all legitimate – and in fact if the books started bringing in a larger income – enough to support us – I would be overjoyed at the chance to get off-benefit and provide Mrs M with a better quality of life. 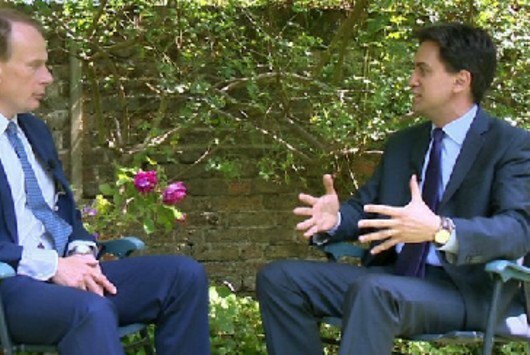 What I’m saying is that being on benefits should not put an end to anybody’s ambitions. You might be supported by the state’s (extremely threadbare and fragile, thanks to Lord Fraud’s and Iain Duncan Smith’s interference) safety net, but that doesn’t mean you can’t keep working for what you want to do. This leads me to the answer I found for the second question, ‘How could shame be an appropriate response?’ The only reason a person on benefits should be ashamed of it is if they are not doing everything they can to get back on track – getting into the career they want and earning a living wage from it. A wiser man once said that the way forward is dedication. If you are able-bodied and you have an ambition to be… I don’t know… a writer, it’s not going to happen straight away – so get a job frying fish down at the local chip shop if that’s what it takes to pay the bills, or go on benefits if there aren’t even menial jobs around, but make sure you spend all your spare time putting in the effort to get that first writing gig, whether it’s journalism, scripting comics, writing gags for radio or TV comedy shows, scripting full-length shows, staging plays on an amateur level with a view to progressing into professional theatre – whatever. The possibilities are endless and anyone who wants to make a living from pounding keyboards will need to try the lot. And there’s no shame in working for employers who have different beliefs – political, moral, whatever – than yourself. If their dollar is good, then it’s all good experience and (if you are a writer) possible grist for the mill one day. That’s one reason I saw nothing badly wrong with Mehdi Hasan’s application to work for the Daily Mail. The shame would lie in giving up; turning away from your ambitions and accepting society’s current label for a benefit claimant – being a scrounger. Being a skiver. Being a burden on society. Or never bothering to try in the first place. So, finally, ‘Who should feel ashamed?’ Not me. Not anybody who has been dropped by their employer because of the downturn, nor anybody who has been trying hard to climb back onto the employment ladder. Especially not those who have been trying so hard, and for so long, that they have suffered mental health problems as a result. Some people claiming benefits do have a legitimate reason to be ashamed of it. They are the people who are ‘playing’ the system; the benefit fraudsters, the ones who could do better but can’t be bothered, the ones who pretend they are ill when they aren’t. They total seven people in every thousand benefit claimants. They are a tiny, tiny minority. But they’re not the only ones who should be ashamed. It seems to me that a far larger portion of shame lies with employers who deliberately push workforce wages downwards, in order to improve their own salaries (and in some cases, shareholder profits – look out, Royal Mail employees). It lies with employers who treat their people as disposable commodities, rather than assets to be nurtured. And it also lies with governments, past and present, that allowed these practices to go on – and in fact failed to legislate against them; and with politicians who have worked for the advantage of Big Money, rather than that of the Little People who create it. That’s where the real shame lies. Not with folk like you and me who’ve got patches on every pair of trousers they own. But with the people in the expensive suits. * Vox Political: Strong Words and Hard Times may be bought here, here, here, here and here, costing £9.99 or £4 – depending on the format in which you wish to receive it. 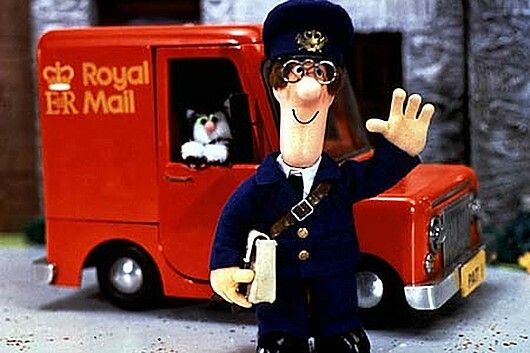 End of an institution: We can all wave goodbye to friendly Postman Pat; the new post-privatisation Royal Mail will be run according to strict for-profit rules and rural areas in particular are likely to suffer. Is anybody happy that the Royal Mail is to be privatised? Personally, I see no cause for celebration. Polls show that 70 per cent of the public are against privatisation – no matter which political party they support – and 96 per cent of the workforce don’t want it either, despite being offered shares in the new company. They’re not stupid. They know that workers in other privatised services have not been able to keep their shares. Will they be able to take the shares with them if they leave? And what will happen to workforce terms and conditions? Other people buying shares will have to pay at least £750 to get the smallest stake in the new company – that puts the sell-off well out of the reach of most people in these depressed times. It is a privatisation for financiers, lawyers and accountants. They won’t want to share the profit pot with staff – and profits are at a record high of £400 million per year. Meanwhile, the Conservative and Liberal Democrat coalition government recently nationalised the Royal Mail’s pension fund obligations (its debt) so that taxpayers across the country will have to pay for it. The privatisation means any profits will go to those who can afford to buy the shares. This is bad business. Don’t these two political parties always claim they are the experts when it comes to money? It seems a strange claim to make in the light of such reckless endangerment of public funds. What of the future? We have seen where privatisation leads, with the flotation of the railways, the energy and water companies on the stock exchange – shares have ended up in the hands of foreign multinationals who have pushed prices up and up, while providing ever-poorer services, and the companies concerned have continued to demand money from the government for any investment; this is because all the profits go to shareholders, who then feel justified in granting huge pay packets to their chief officers. So the taxpayer continues shelling out for these so-called private utilities while the new owners have the time of their lives at our expense. The workers – and the service – suffer. This is a change that will affect everyone. I hope everyone remembers who inflicted it on us, when they come to vote at the general election in 2015. The economy is growing: The Coalition government will claim credit but there is no reason to believe it has anything to do with current government policy – quite the opposite, in fact. All right, the Treasury hasn’t really changed its name – but it might as well have, after the joy that greated this week’s meagre growth figures. The Office for National Statistics is reporting growth in construction, manufacturing, services and agriculture in an estimate based on 44 per cent of actual data on economic activity during the second quarter of 2013 (April-June). That’s less than half of the evidence. We live in times when the whole of the evidence means a great deal – for example, information on Q1 of 2012 that put growth at a standstill – neither up nor down – meant the UK did not enter a double-dip recession, even though the economy contracted in the periods immediately before and after. In real terms we were backtracking – but on paper, no. Let’s remember, also, that the organisations that record our economic fortunes are liable to revise their predictions down as well as up – remember when the Office of Budget Irresponsibility changed its mind about the growth figures for 2012? It had predicted growth of 2.5 per cent for that year. In fact, once we iron out the ups and downs, the economy really only bumped along at a roughly steady state. The International Monetary Fund had predicted a more conservative 1.6 per cent growth for 2012 – but in January of that year revised this down to 0.6 per cent. You get the picture. The 0.6 per cent figure was in line with market expectations, though – and that is a good sign. But 0.6 per cent is a very fragile figure and the prospects for the rest of the year are “highly uncertain”, as market analyst Richard Driver said in the BBC News website’s report. We all knew that the economy would start turning upwards again at some point. That it has taken five years to do so indicates the severity of the banker-induced crash – and also the lack of any investment in recovery. In the past, the upturns arrived comparatively swiftly – but there had been a willingness on the part of both government and businesses to put money into it. The current government has been sucking money out of the economy in the pursuit of Gideon‘s nonsensical “expansionary fiscal contraction” and getting the deficit down – meaning that all the effort has been put into cutting spending and none into actually making a buck or two. Meanwhile, it has been estimated that businesses have been sitting on fortunes totalling six or seven per cent of GDP – around £775 billion, according to Michael Meacher. In his blog, Mr Meacher said he expected the announcement to be “milked by Cameron-Osborne for all it’s worth” and he was not to be disappointed. What will he say if a later revision knocks the figure down again? Mr Meacher’s blog stated that the growth figures had been inflated “by being talked up by the finance sector”, and stimulated by Osborne’s Help to Buy scheme “which has ploughed taxpayers’ money into mortgages but without increasing the number of houses being built, which can only push up property prices… igniting yet another housing bubble which is the last thing the economy needs”. He added that the real essentials of recovery are still missing – “an expansion of manufacturing and exports”. I could mention ‘Starve the Beast’ again – but by now you should be on intimate terms with that expression. Tories compile a list of their achievements. Ha ha ha. We never knew: Perhaps Michael Gove is more familiar with the reading matter behind him, but it seems he may even be acquainted with this blog! Whoever would have suspected that Michael Gove reads Vox Political? We come to this conclusion from the reaction of the Education Secretary and Gollum impressionist to Theresa May’s ConservativeHome speech, in which she outlined her belief that the plebs’ human rights should be for the chop, as outlined in our article on Sunday. We may deduce he gets help with some of the longer words. It seems that, in a meeting of Conservative cabinet members, Gove made it clear that prominent Tories’ efforts to promote themselves as possible leaders (precious) were playing into the hands of the party’s opponents (gollum, gollum). The article itself has been read by fewer than 10,000 people at the time of writing, but Gove may have enjoyed a rare moment of intelligence and realised that the viral reach has been something in the order of two or three million (and it does this columnist a world of good just to type that). Of course, other blogs exist as well, and it’s possible that even the mainstream press may have enjoyed some frivolity with the Home Secretary’s attempt to be a social climber (in the face of her own government’s elimination of social mobility of any kind). The cumulative effect on the public consciousness has been huge. Gollum’s – sorry, Gove’s – warning presaged a sterner telling-off by the Tory Party’s new general election guru, Lynton Crosby, who warned them all to decide whether they want to be “commentators” or “participants” in the 2015 election. This gentleman then stuffed his own foot very firmly into his mouth and shot himself in it, such was the enormity of the gaffe that followed. At his urging, comedy Prime Minister David Cameron unveiled what we are being asked to believe will be the bedrock of the party’s campaigning over the next two years. It’s worse even than the Liberal Democrats’ silly ‘message script’ that they brought out last December. A 10-point checklist of Tory achievements since they came into office in 2010! Already, I know what you’re thinking. Don’t get your hopes up! It really provides a strong insight into the Tory mind, that they consider some of these disasters to be achievements. 1. They have cut the fiscal deficit by a quarter. Nobody actually believes this, though. Any “achievement” on the deficit that is reached via one-off events like the Royal Mail pensions raid is unsustainable. It makes for good PR in the right-wing press but anybody with an ounce of sense will see right through it. Also, most of the savings have been carried out by cutting support for the poorest people in the country while the richest are getting – as the Labour Party has hammered into us with such tedious regularity since last year’s budget statement – a tax cut. And in the background, the national debt continues to rise, as Tory policy dictates it must if they are to justify their continued attack on State structures. 2. They have reduced immigration by a third. That’s right; talented people from foreign countries no longer wish to live and work in the UK because the Conservatives and their policies have made it such an unattractive place. 3. There are one million new private sector jobs. There is also so much wrong with this that it is hard to know where to start. Firstly, 200,000 of those jobs were formerly in the public sector but were re-defined by the Conservatives in order to make up the numbers. Secondly, anyone on Workfare, Mandatory Work Activity or whatever they’re calling it today is automatically defined as being in work, despite the fact that the only pay they receive is their state benefit. Thirdly, the government is, by definition, a public sector organisation and should not, therefore, be trying to claim the credit for the creation of private sector employment; only private sector employers can legitimately do that. 4. They vetoed an EU treaty for the first time. Clearly the Conservatives are hoping enough time has passed for us to forget that David Cameron made the UK and everyone in it look like a bunch of fools in front of the other 26 EU states when he did this, because their reaction was simply to bump us off the negotiating table and sign an accord between themselves. All he did was sideline the UK and harm British interests in Europe. 5. They have cut the EU budget for the first time. Not strictly true as it was Angela Merkel’s influence that led to the budget cut. We may also reasonably ask why this is being hailed as an achievement when the British contribution to that budget is still on the rise and has not been cut. 6. They have promised an in/out referendum on the UK’s membership of the EU (if they win the next general election). That’s right – rather than achieve anything useful, like negotiating a new structure for the European Union that benefits all of us, the Conservatives intend to stand at the sidelines, make unreasonable demands, and then pander to their own Euro-sceptics by offering the people only one choice – stay or go. The simple fact is that the UK needs to be a part of the European trading community to survive; the run-up to the referendum means the press will be able to feed a mountain of claptrap to the people in order to influence them into a ‘go’ vote, even though it will put us at a huge disadvantage. But the Tories will have seen off UKIP, which is something they are desperate to do after the Eastleigh by-election. Oh yes, and the referendum is conditional on the Conservatives winning the 2015 election outright. It’s electoral blackmail. 7. They are enacting new laws to place householders on the lowest energy tariff. The problem with this is that energy companies can only provide the low tariffs that are currently available because more people pay the higher, average prices. If they are required by law to put everyone on the lowest possible payment scheme, the price of that scheme will rise. It is economically-illiterate nonsense but it looks good to the uninformed. 8. They have created a single-tier pension scheme. This is the Tory compulsion to make things simpler at work again – because simplifying money matters means the poor will be worse-off. In simple language, then, the vast majority of people who become eligible for their pensions after 2060 will lose out. This is an attack on the young. 9. They are introducing a £75,000 cap on the costs of long-term care. On the face of it, this is good, because 16 per cent of over-65s will benefit. However, the recommendation was for a cap of between £25-50,000 – which would have benefited 37 per cent of over-65s, more than double the number the Tories are actually going to help. Around 120,000 pensioners will lose out every year. 10. They are taking two million people out of tax, with an average £600 cut in bills for 24 million people. This is, of course, before the impact of the Tories’ benefit cuts is factored in. For example, look at Iain Duncan Smith’s decision to freeze benefit increases at one per cent for the next three years, no matter how high inflation rises. This will plunge 200,000 children into poverty. The Children’s Society calculates that a single parent with two children, working on an average wage as a nurse would lose £424 a year by 2015. A couple with three children and one earner, on an average wage as a corporal in the British Army, would lose £552 a year by 2015. Now add in the effect of the benefit cap that will be introduced next month, the bedroom tax, the council tax reduction scheme in England; many people will be refused the Personal Independence Payment and Universal Credit under their new rules, just as many are being refused Employment and Support Allowance now (wrongly). If a cumulative impact assessment was carried out, the effect on those two million people who no longer have to pay Income Tax – not indirect taxes like VAT, road tax, and so on – will be unequivocally negative. This is not a list of achievements. It is a list of staggering failures. Ed Miliband was right to ask, in today’s Prime Minister’s Questions, whether they could organise anything in a brewery. 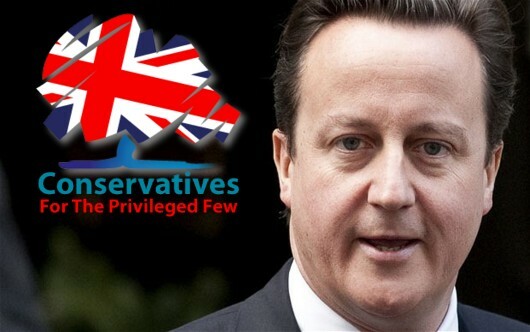 Instead of a show of pride, the Conservatives should be ashamed. The Coalition government has no intention of reducing the UK’s debt burden as it provides an excuse to cut spending on public services and shrink the state. Messrs Cameron, Osborne et al know that, when the public becomes sick of all the nonsense they have been spouting about it, they can hand the mess over to the next government and laugh all the way to the (offshore) bank. Government borrowing figures for August have been released and the Treasury has been talking nonsense about them. Again. Let’s start with the facts: UK public sector net borrowing was £14.4bn in August – slightly higher than the same month last year, and therefore the biggest deficit for the month since records began. 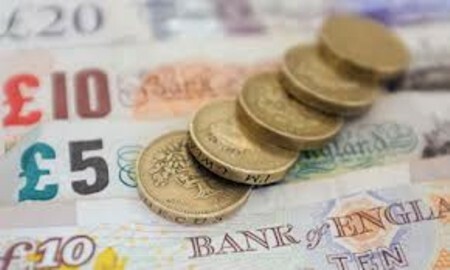 Corporation tax receipts fell by 2.1 per cent; benefit payments rose by 4.9 per cent. Barring the effects of one-off transactions like the raid on the Royal Mail Pension Plan that I mentioned last month, borrowing from April to August increased by £12.9bn, or 22 per cent, on the same period last year – to £61.3bn. The British Chambers of Commerce reckon that at this rate, total borrowing for 2012-13 will be £20bn+ more than estimated by the misnamed Office for Budget Responsibility at the time of the last budget. Public sector net debt stood at £1.04 trillion at the end of August 2012, equivalent to 66.1 per cent of gross domestic product (GDP) – that’s up from 1.032tr at the end of July, or 65.7 per cent of GDP. The BBC, reporting on its website, has stated that the figures make it more likely the government will fail to wipe out the structural budget deficit by its deadline – and I think it won’t make a difference whether that’s 2015 (already long-abandoned) or 2017. The Treasury, on the other hand, is still telling us it is getting the deficit down. Exchequer secretary to the Treasury David Gauke said new figures showing borrowing for 2011-12 came it at £119bn, rather than the OBR’s forecast of £126bn meant the government was dealing with its debts. This is particularly rich, coming from him. Everybody now knows that the best way for the government to pay down its debts is to tax all the rich Brits who have stashed their cash in offshore tax-havens. Mr Gauke used to work for a tax avoidance firm and his wife is a tax avoidance lawyer. He is exactly the wrong man to lecture us on getting the deficit – the difference between government spending and tax receipts – down. Some, like Sir Mervyn King, governor of the Bank of England, are now saying that overshooting the deficit reduction target would be acceptable if the reason was slower economic growth across the world, and the government has been happy to play its ‘Eurozone Strife’ card many times in the past. But I’m not convinced. I tend to agree with The Guardian’s summary of the Coalition’s non-achievements so far, which states: UK exports to the EU have been growing, at least until early 2012; the deepening Eurozone crisis was mainly due to the same austerity policies employed in the UK; therefore austerity should have been cut back and demand revived. What we’re left with should be no surprise to anyone: Numbers that don’t add up and explanations that don’t make sense.